About Coventry Environmental - Coventry Environmental Inc. Incorporated in 2012, Coventry Environmental, Inc. (Coventry) is a full service environmental remediation/construction contractor headquartered in Spring City, Pennsylvania. Coventry has quickly established a reputation as a quality contractor which provides well planned, cost-effective services while maintaining operational excellence and an unrelenting commitment to established safety standards. The company principals have over 55 years of combined experience in planning, managing and executing a diverse portfolio of environmental and civil improvement projects. This experience allows Coventry to provide its clients with tailor made solutions to complex real world environmental issues. Coventry is a certified small business with the flexibility that has allowed it to provide services to Fortune 500 companies and small business entities alike. Our company employs a collaborative approach to develop an understanding of our client’s needs and goals. This strategy allows Coventry to provide a detailed scope of services to meet the client’s project objectives. Project communication is an integral component of the services we provide. Coventry maintains a constant dialogue with our clients to insure that the project team is aware of schedules, progress, health & safety concerns and any other issues that may arise. Our overall objective is to exceed our client’s expectations, earn their trust and develop long term partnering relationships. We believe that Coventry is defined by its people - honest, experienced, forward thinking, professional and hard-working. Coventry team members form collaborative relationships with owners, developers, design teams, subcontractors and others to assist in delivering the most desirable and economical solution to the project goal. Coventry’s business philosophy is based upon building trusting relationships by providing excellent service and workmanship that meets or exceeds customer expectations every time. Mr. Ohrwaschel has been in the environmental services industry for over 35 years with over half of that experience in upper management. In 2012, he established Coventry Environmental, Inc., a full service environmental contracting company. As Owner and President of Coventry, he is responsible for managing the overall operations of the business in conjunction with the strategic planning and business development of the company. Mr. Ohrwaschel employs a hands-on approach with client and employee relationships. 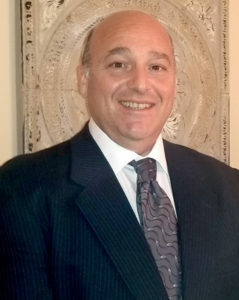 Mr. Ohrwaschel received his Bachelor of Science from Fairleigh Dickinson University in 1983. In addition to his degree, he is a Registered Environmental Manager and Certified Waste Management Professional. Mr. Ohrwaschel also holds multiple state tank handling licenses. 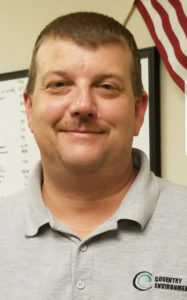 He is a member of the Society of American Military Engineers and directs the company relationship with the Chester County Economic Development Council. He has given numerous speeches and presentations, as well as published an article with Columbia University on the management of underground storage tanks. 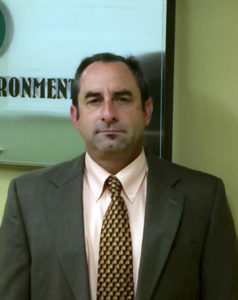 Mr. Alessandrini has over 25 years direct experience in the environmental contracting industry. A 1996 graduate of the University of Delaware, Mr. Alessandrini has a Bachelor of Science Degree with a major in Environmental Engineering and a minor in Civil Engineering. He is an AHERA Asbestos Building Inspector, Lead Risk Assessor, and, an Indoor Air Quality Consultant. In his current capacity, Mr. Alessandrini manages multiple projects involving remediation projects throughout the Mid-Atlantic and Northeast Regions. Mr. Alessandrini also has experience acting as a Senior Project Manager, assessing and implementing large-scale remedial action projects involving landfill remediation, soils excavations, multiple media and wastewater treatment system designs and installations, UST and AST closures, and other on-site soil and/or groundwater remedial projects. Mr. Alessandrini has also been responsible for proposal development, scope of work (SOW) preparation and cost estimating. He currently directs staff coordination, field mobilizations, budget tracking, agency negotiations, and client interactions. He is experienced with both state and federal programs, including CERCLA (Superfund), TSCA, RCRA, and the PA Act 2, as well as various state programs in the Mid-Atlantic/Northeast Regions. Mr. Reider has over 25 years of operational, supervisory and management experience in the environmental industry which includes the on-site supervision of multiple remediation, industrial maintenance, and emergency spill response projects throughout the Mid-Atlantic Region. Mr. Reider’s experience includes numerous years in directing field crews on various environmental construction, remediation and emergency response projects throughout the Mid-Atlantic region (PA, NJ, DE, CT, MD, NY, OH, and MI). Duties have included the daily scheduling of 40+ person field staff in conjunction with coordination of equipment and material needs for various projects. Mr. Reider has managed company vehicle/equipment assets which included a 50-unit fleet of vacuum trucks, rolloff trucks and containers, rack and pickup trucks, excavation equipment, and ancillary tools/equipment required to complete the defined scope of work. Other responsibilities included the recruitment of new personnel and the evaluation of existing personnel. Mr. Reider provides quality assurance oversite of all field staff, operations and subcontractors. Mr. Reider is also an indispensable on-site interface with our clients, field staff, management and regulatory authorities. We're proud to be members of these fine organizations.